For years it has been a best selling natural health care product in Europe and the United States. And it&apos;s the only ginkgo extract used and recommended by doctors and other healthcare professionals in over 70 countries outselling all other ginkgo products combined worldwide. 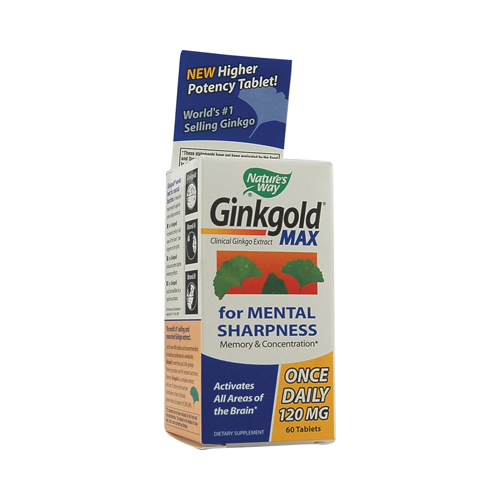 For mental sharpness memory concentration Ginkgold improves mental sharpness concentration memory and cognitive activity. It also supports healthy circulation to the brain as well as the extremities. And it maintains healthy blood vessel tone and reduces blood viscosity. Ginkgold, patented ginkgo biloba dried extract (120mg).